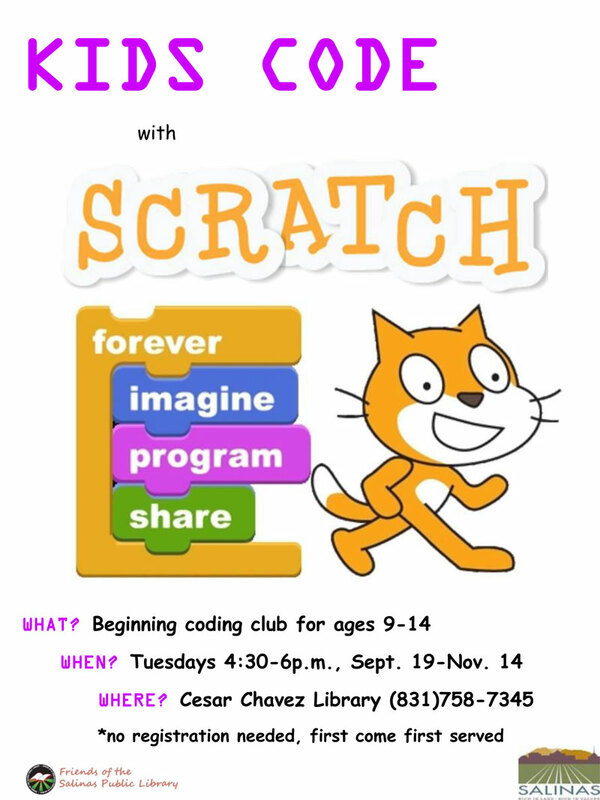 Kids learn to code on computers with "Scratch." Ages 9-14. No registration needed.